Family members gathered outside the Bikomagu home after the attack. 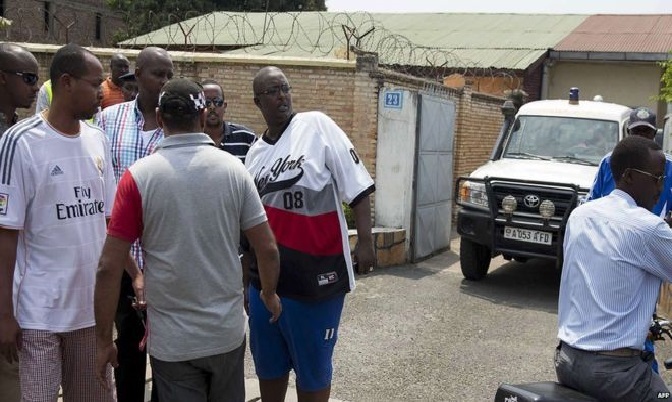 The former head of Burundi’s army has been shot dead outside his home in the capital Bujumbura. Col Jean Bikomagu, who led the armed forces during the country’s civil war, was gunned down as he drove through the gates of his house. His daughter was badly injured in the attack, a family member told AFP. 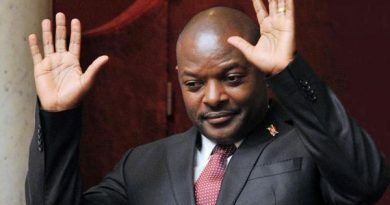 It is the latest in a wave of killings across Burundi, since President Pierre Nkurunziza decided to run for – and won – a third term of office. The civil war was fought along ethnic lines with mostly Hutu rebels fighting against the politically dominant Tutsi minority. Col Bikomagu led the Tutsis, while Mr Nkurunziza was a member of the a Hutu rebel group. A peace deal led to him becoming president in 2005. 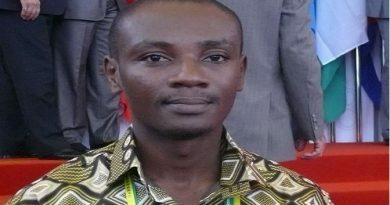 But his third presidential bid in July led to unrest across the country, with opposition parties and voters claiming it was unconstitutional. Tensions there have forced more than 100,000 people to flee this year.